When I got down here to Mexico and set up the new studio it really was a kind of hard reset. My hours stayed roughly the same but everything else got overhauled... I built a new drawing table (no, really!) and I was in an actual artist's space, rather than an working form the same apartment where I lived. I saw this as an opportunity to re-approach the work from fresh angles as well, and as part of that I was working my way back through the incomparable Dynamic Anatomy, Burne Hogarth's perennial anatomy & figure drawing super vitamin. I'd put in an hour or so of figure scribbling then get to work proper. On off days I'd skip the lessons and just draw, something fun, something just for me, to keep that love of drawing still engaged. 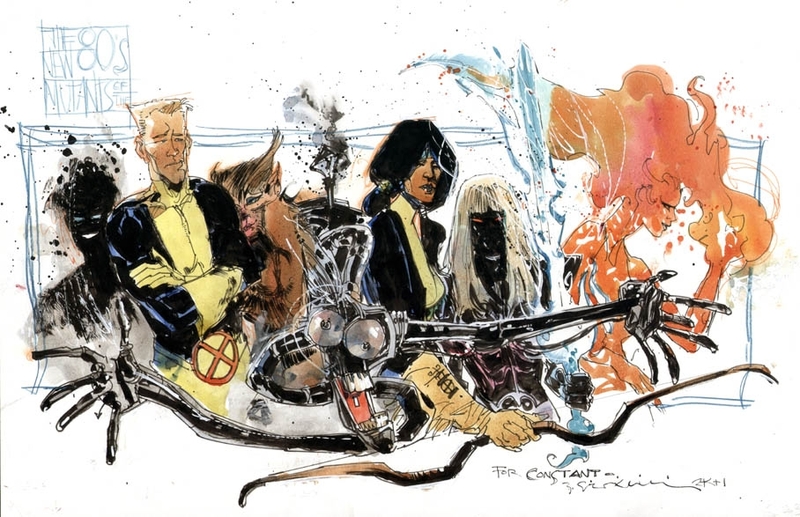 I'd done also done a really deep dive on Bill Sienkiewicz lately, the repub of his groundbreaking run on New Mutants sent me back to the well. 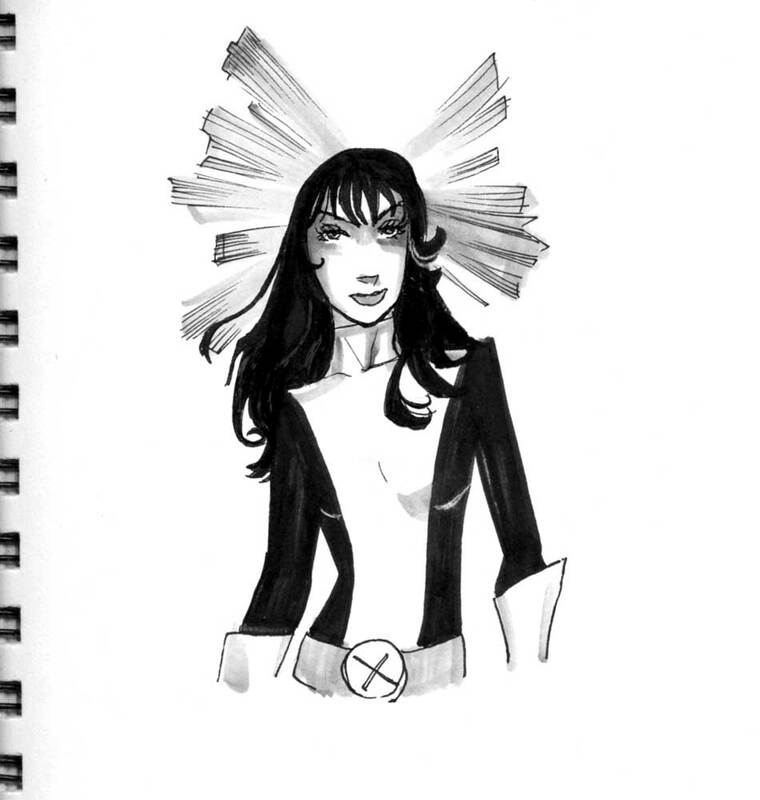 I'll make a longer post about Bill S. later, but I was a New Mutants fan, more so than the X-men and his run on the book was my initiation to the group. Seeing the old costumes gave me a hankering to give 'em a draw, so in between anatomy lessons I would revisit the old crew.